As part of its efforts to provide students with high-quality mentoring, TeamMates works to provide schools, mentors, and mentees with additional resources and expertise. Below are some of TeamMates training opportunities and partnerships that schools can use to help inform their staff and the TeamMates matches in their buildings. Youth with a growth mindset are more likely to thrive in school, overcome obstacles, and re-frame challenges as opportunities to learn. This toolkit serves as an introduction to the growth mindset. Trainings on the Growth Mindset are available through TeamMates Training and Match Support Specialist, Allyson Horne. Many mentors and school staff members come from different socioeconomic, cultural, or religious backgrounds than their mentees. Understanding Poverty, provided by Tammi Winchester of Project Harmony, helps build awareness about the challenges youth living in poverty are facing. Schools and mentoring programs are both vulnerable to adults seeking out inappropriate relationships with youth. SAFE Training helps staff to identify red flags in behavior and communication and provides them with steps they can take to ensure the safety of all youth. Through this interactive scenario and resources on resilience staff and mentors will learn about how the choices we make can help youth be more resilient when facing challenges. 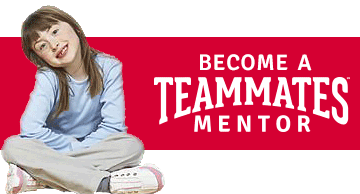 Mentoring is part of the NPBiS levels of support provided to students in participating schools. NPBiS supports TeamMates and recognizes the positive influence a mentor can be on students. The Nebraska Association of School Boards supports mentoring as a way to involve the community in the educational system and to provide youth with an additional caring adult.